Georganic Method knows that health is not only the absence disease. You also have to be healthy at home, so if your home is toxic (and it likely is! ), you are not likely to be healthy. Are you concerned about using eco-friendly detergents: whether they are worth it, whether they will clean properly and have good smell?! Are you not sure about packing your food in anything rather than plastic or if you can have great scent without using air freshener or perfume? This topic is for you then. Solution: buy eco-friendly cleaning product or make home-made ones. Recipe: Put baking soda in a high walled pot (as it will fizz), pour vinegar into it. The texture of the mix has to be spreadable mass. Then drop 20 drops of lemongrass (or lemon-eucalypt, or tea tree) essential oil. Use it for cleaning your bathtub or sink with sponge and for your toilet with the toilet brush. Fact: these products may contain toxic ingredients and are in role of changing our enzymatic activity thus having an impact on our full body function. Solution: buy eco-friendly washing products or make home-made ones. These products will clean your clothes just as good as the artificial ones. These methods are also good for your washing machine as they will not leave plaque in it. Recipe: use washing nuts, sodium carbonate or eco washing gel only instead of detergent. Bleaching and stain removal: use sodium percarbonate for making your clothes white or use for any colour for remove stain. It is not only eco-friendly but also cheap and effective. Fabric softener: use vinegar-essential oil mixture or eco fabric softener only. Solution: use natural fresheners or do home-made ones. 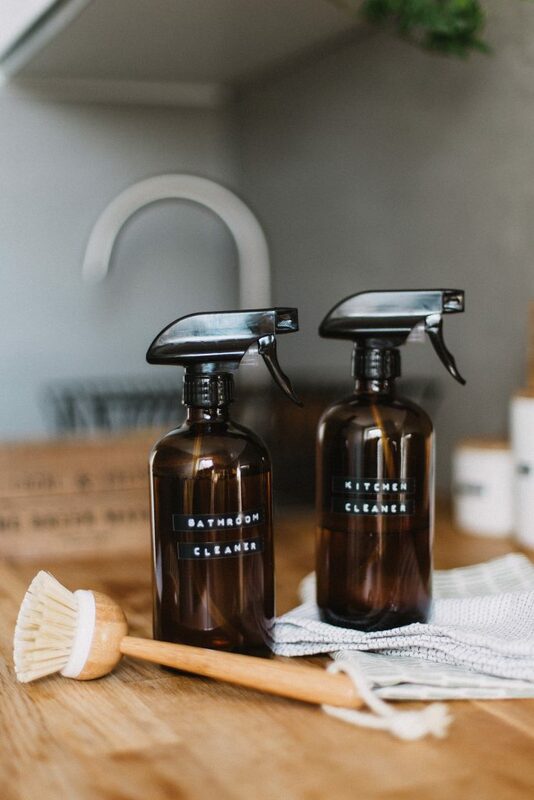 Recipe: use a spray bottle (glass if you can), fill it with water, a tablespoon of vinegar and 40 drops of lemongrass essential oil. Fact: it is not only enough to avoid dietary triggers, such as gluten, dairy, GMOs (genetically modified) or lectins; but also to avoid environmental triggers. One of the most common autoimmune triggers is bisphenol-A (BPA). You will find BPA in all plastics: water bottles, plastic containers, plastic utensils, the lining of cans, plastic coffee lids and the ink on store receipts. Solution: it looks impossible to completely avoid plastic but it is critical to reduce your exposure to plastic as much as possible even if you do not suffer from any autoimmune disease. Instead of plastic buy and use glass, stainless steel, ceramics and wood containers, bottles, cups, mugs, utensils, pan, baking trays and baking molds; avoid plastic #3 and #7; avoid canned products; limit your exposure to plastic products; use bulk food (not the ones in plastic packaging); do not use liquid infant formula that has BPA lined in the bottles. The most important is: do not microwave plastic containers! Even if they are BPA free, they still might leach other chemicals into your food. 5. Medicine: healthy households need herbs. My household is full of fresh herbs and artificial-free herbal teas so I can serve my family in any situation. The Györgytea palette is satisfactory as it provides teas for prevention, diabetes and many other problems. I have one pack from almost all of the teas at home, because they do not only affect the problems that have already arisen, but also continuous consumption of these (consumed according to the instructions!) are perfect for prevention. You see how many things you can change in your household without changing a lot or paying more. If you would like to get more tips, sign up to Georganic program where you receive the knowledge how to transform your house from toxic to healthy. It is time to have a look at the toxic influence of your home. Choose chemical free products! If you would like to further deepen your knowledge check out our packages. ** Kristin J. Cummings, M. Abbas Virji. (2018) The Long-Term Effects of Cleaning on the Lungs. American Journal of Respiratory and Critical Care Medicine 197:9, 1099-1101. *** Groscurth P, Cheng S, Vollenweider I, von Felten A., Effects of washing and gel filtration on the ultrastructure of human platelets, Acta Haematol. 1987;77(3):150-5. ***** Datis Kharrazian, “The Potential Roles of Bisphenol A (BPA) Pathogenesis in Autoimmunity,” Autoimmune Diseases, vol. 2014, Article ID 743616, 12 pages, 2014. https://doi.org/10.1155/2014/743616.